Wychwood was founded in 1983 in Witney by Paddy Glenny in the maltings of Clinch’s Brewery. 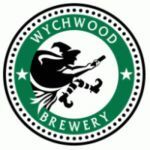 Originally called the Eagle Brewery, then Glenny Brewery, the name changed to Wychwood in 1990 after the success of Hobgoblin beer, first brewed in 1988. The company was taken over by Refresh UK in 2002, who then moved production of Brakspear beers to the site with a different kit. In March 2008 Refresh UK were taken over by Marston’s.